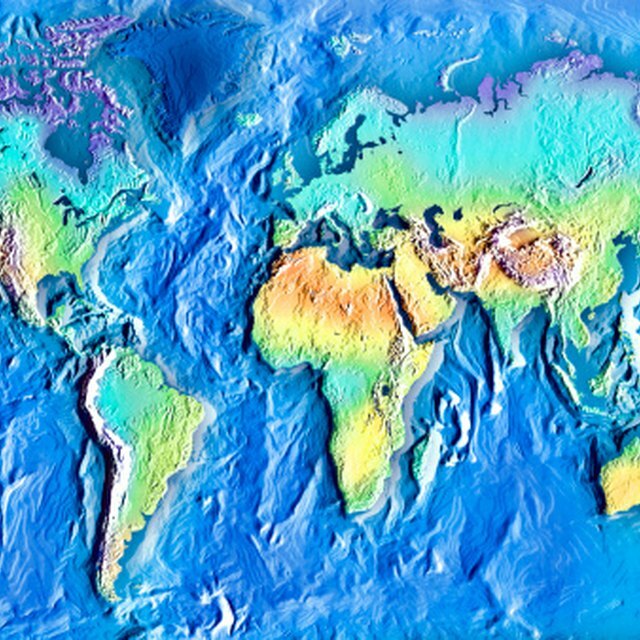 Topographic maps reveal the Earth’s contour. 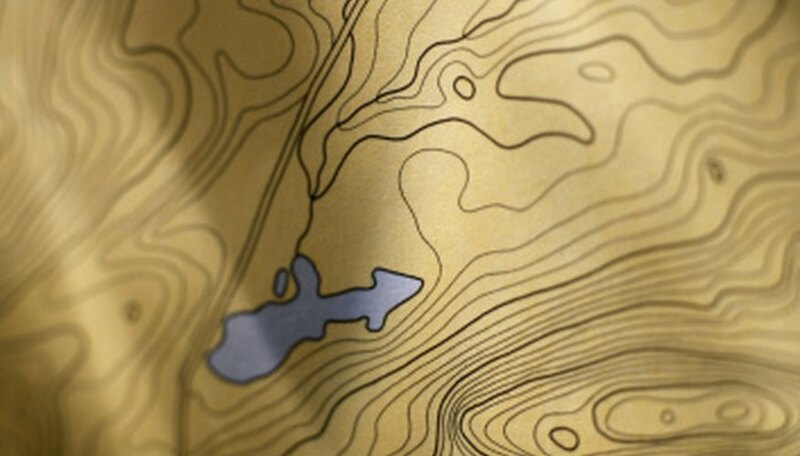 Contour lines on a map are those lines that reflect a consistent or constant elevation. Slope or gradient is the vertical distance divided by horizontal distance, and channel slope is how far a channel drops over a horizontal distance, according to the Austin Creek Watershed Department. Essentially, a channel slope is the valley between the peaks of elevation created by a stream. Channel patterns are influenced by the flow of streams and the accumulation of sediment. Channel slopes are generally measured as percentages based upon the area between a pair of adjacent contour lines where they cross the creek. Find the creek for the channel. Find the source and mouth of the creek. Begin tracing the blue line on the map denoting the creek. Document the elevation line starting at the source and following the creek upstream to each cross of the contour line. Use a rule or map wheel to measure the distance along the blue line of the creek from contour line 1 to contour line 2. Convert the distance from a fraction to a decimal format. Repeat this for all adjacent contour lines to the source of the creek. Calculate the change in elevation. Subtract the elevation for contour 1 from contour 2. For example, if contour 1 is 80 and contour 2 is 90, then the change in elevation equals 90 minus 80, or 10. Calculate the channel slope. Using the formula, slope equals change in elevation divided by ground distance. For example, if the ground distance is 11/16 or 0.69 inches and the scale factor is 1 inch equals 2,000 feet per inch, this equals 1,380 feet. The channel slope is 10 divided by 1,380, which equals 0.0072. Multiply by 100 to get a percentage of 0.72 percent. Jennifer Fleming has been writing since 2011. She specializes in project management from the beverage, manufacturing, telecommunications and transportation industries. Fleming’s first published work was a segment in Walter McCollum's “Breakthrough Mentoring in the 21st Century.” She holds an Executive Master of Business Administration from Georgia State University and Doctor of Philosophy in applied management and decision sciences from Walden University. Fleming, Jennifer. "How to Calculate Channel Slope." Sciencing, https://sciencing.com/how-8691136-calculate-channel-slope.html. 09 January 2018.